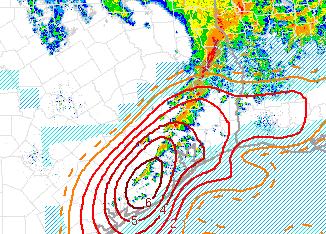 The significant tornado parameter is quite high from just southwest of Houston to Beaumont and (with lesser values) into southwest Louisiana. 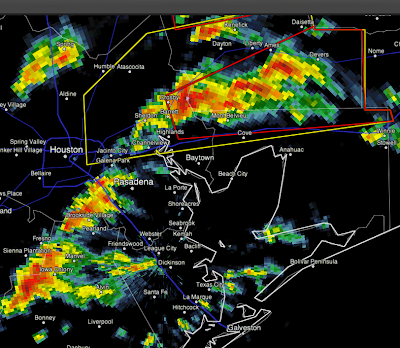 Red values are high and deep red very high. 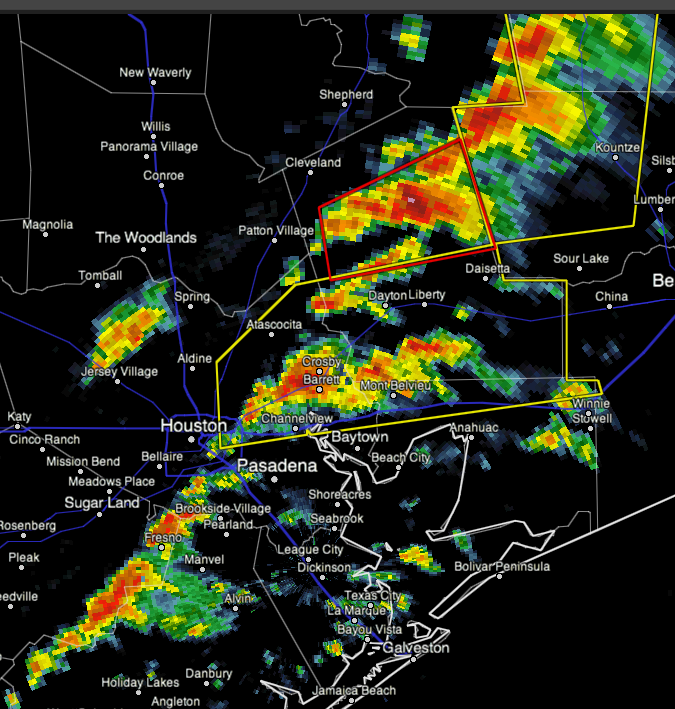 In looking at the latest radar from Houston (10:58AM) we see a severe thunderstorm warning just issued for NE part of Houston metro with more thunderstorms developing to the southwest. I urge people in Houston-Beaumont and all of southeast Texas to monitor NOAA Weather Radio or local media. Click to enlarge image.